Tourism can boost a city’s reputation and bring in a wealth of cultural and financial capital. Learn about ways some local governments are bolstering their tourism numbers. Tourism can boost a city’s reputation, but it can also bring in a wealth of cultural and financial capital. Some states have tried to bolster tourism by offering tax breaks to tourism-related businesses. According to state materials, in 2013 Georgia passed its Tourism Development Act, under which companies that build new tourist attractions are entitled to a portion of their sales tax revenue. Mississippi offers a similar rebate program. At the local level, Myrtle Beach, S.C., came up with an unorthodox way of increasing tourism numbers – by raising taxes. In the mid 2000s, tourism revenue in Myrtle Beach was declining. A contributing factor was that the city was being outspent by competitors in out-of-market advertising. “We were spending only about $700,000 a year,” says Mike Shelton, Myrtle Beach’s budget director. To catch up to the competition, Shelton says that, around 2008, the mayor, the city council and the chamber of commerce began toying with the idea of a 1 percent sales tax increase – the revenue generated would be allocated for out-of-market adverting. But leadership knew it was going to be a hard sell. In the first year after the council enacted the increased sales tax, called the Local Option Tourism Development Fee, it generated $16.7 million, 100 percent of which went to out-of-market advertising, says Shelton. And those funds made a big difference. In subsequent years the tax’s revenue stream has forked. Now 80 percent is used to fund out-of-market advertising, with 20 percent of the remaining 20 percent going to fund property tax credits for city residents. The remainder is spent on tourism-related capital improvement projects. Shelton says much of the capital project funding has gone toward improving Myrtle Beach’s sports-related infrastructure, such as baseball stadium renovations and the construction of sand volleyball courts, as well as beautification efforts through streetscape and signage improvements. Another major project that would not have been possible without indirect support from the sales tax revenue was the 1.2-mile-long Boardwalk and Promenade, says Shelton. 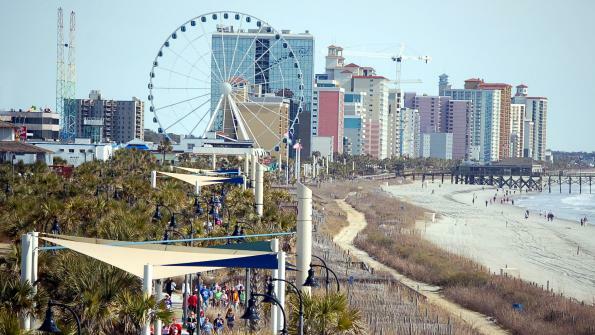 The boardwalk, a $10.5 million project, attracts scores of tourists during the summer months. Gainesville, Fla., also has a non-traditional take on tourism: invite hundreds of punk bands and thousands of their fans to take over the city Halloween weekend. Every year, the city embraces FEST, a punk rock music festival that has been going strong in Gainesville for over a decade. Assistant City Manager Paul Folkers says the city views the festival as an opportunity not only to impact the local economy, but also to invest in Gainesville’s cultural capital. “We’re interested in trying to create, maintain and enhance the exciting vibe and dynamic that music can help bring to a community,” he says. 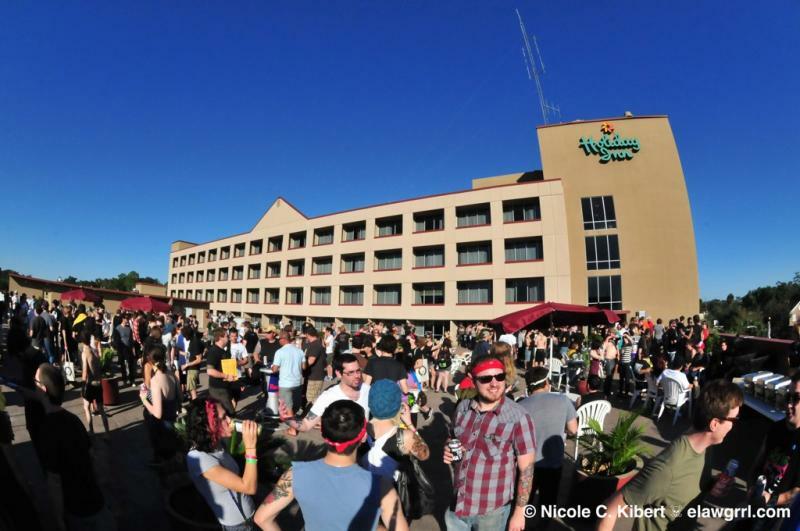 The first FEST occurred in 2002, according to FEST Founder Tony Weinbender. It involved 60 bands and sold about 500 tickets. Since then it has evolved into a three-day-long event and draws around 7,000 domestic and international visitors. The festival became so popular, Weinbender has had to turn people away. “Our biggest problem is that we sell out every year because we’re limited to the capacity of the venues,” he says. So he reached out to the city for help. Gainesville has since worked with FEST to expand and improve the experience, Folkers says, but that growth has not been without challenges. Some of the city’s regulations were not conducive to a large, outdoor music festival, Folkers says. In particular, a ban on selling alcohol in publicly owned spaces and restrictive downtown noise ordinances had to be re-examined to help FEST grow. Last year, the city completely re-wrote its alcohol ordinance to be more festival-friendly, Folkers says, and alterations have been made to the noise ordinances to allow outdoor concerts. The city is also working to make more public space available for this year’s event. Negotiating these issues can be time consuming, but Folkers says it’s necessary to allow cultural events to take root. “We see it as a positive thing; as something we want to encourage,” he says.